By the end of 2019, it’s estimated that 30 Million properties in the UK will have Smart Meters, allowing all of us to access up to the minute information about the energy use in our homes or businesses. It would appear that there are moves already in place to drive us towards becoming a country with a ‘low carbon footprint, with much more emphasis being put upon energy efficiency – look at how the feed in tariff rate is reduced if your home is not up to a certain level of energy efficiency, even granting of planning permissions can be heavily influenced by how efficient the proposed project is to be. If your home has not already got one, you can go the ‘full Monty’ & get an Energy Performance Certificate (EPC) report from an accredited Domestic Energy Assessor (DEA) , which will cost a fee. 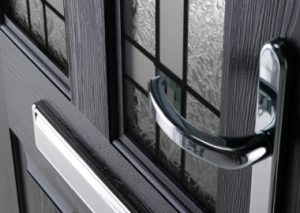 Changing your windows is quite common in the UK, but if you look for energy efficient double glazed windows which are rated by the BRFC (British Fenestration Rating Council) you are moving in the right direction and will certainly lower your energy bills and increase the overall rating of your home.